I am so glad that spring is finally here! After a long winter, I'm ready to turn in my mittens for gardening gloves! 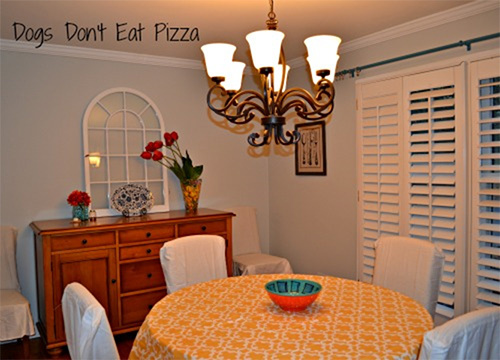 If you feel the same way, and are ready to lighten your decor to get ready for spring, here are three projects you can complete in just one day. 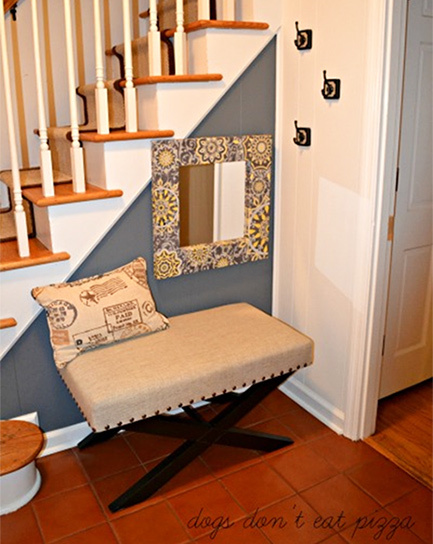 Nothing like instant DIY gratification! Once the weather turns warm, I'm ready to dig in the dirt. An easy way to add spring color in just one afternoon is to paint some flower pots a bright color and add flowers. 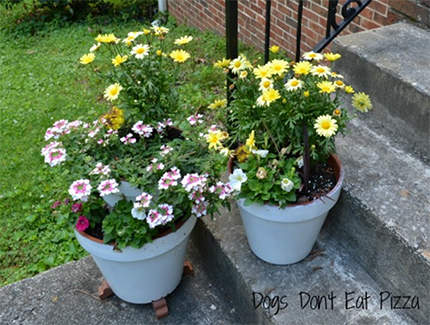 To paint the flower pots, start with either terra cotta or plastic flower pots. Cover the opening of the pot with newspaper and affix it to the top rim with painters' tape. You don't want to get paint in the inside of the pot. 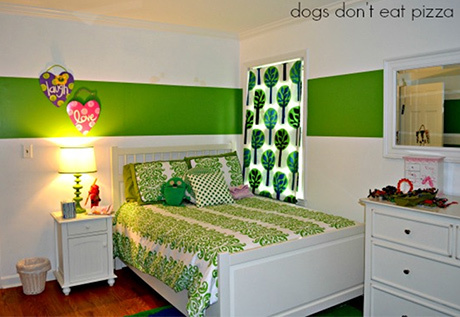 Then, spray paint the pot your favorite bright color. I chose gloss white so that the colors of the flowers would pop against the stark white. When choosing the paint, make sure you select the right paint for whichever surface you are using (for example, if you have plastic pots, use a spray paint specifically designed to adhere to plastic). I used two coats of white gloss spray paint to get the pots in the above picture that shiny, bright white. When choosing flowers and plants for your pots, gather a combination of sizes and colors to create interest. Have one tall plant, one smaller plant, one that spills over the side, and some greenery. Choose colors that work together; for example, pick colors opposite each other on the color wheel so that they stand out against each other (such as yellow and purple or green and pink). Spring is a time to lighten and brighten. 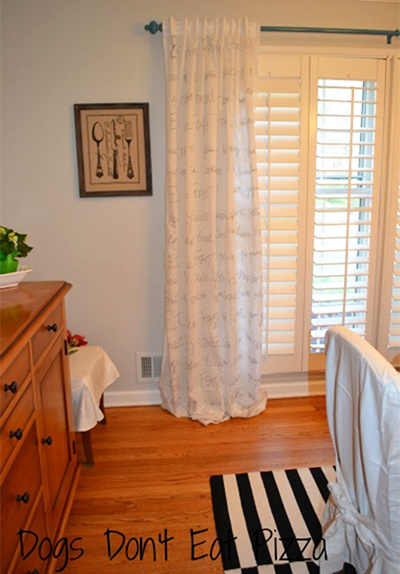 An easy way to do this inside your home is to replace heavy drapes with light, white curtains. 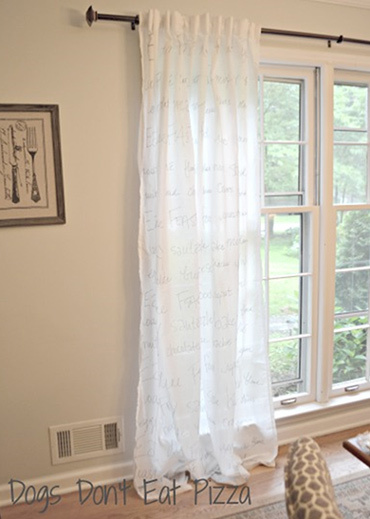 You can even customize the curtains easily, using just a Sharpie pen. 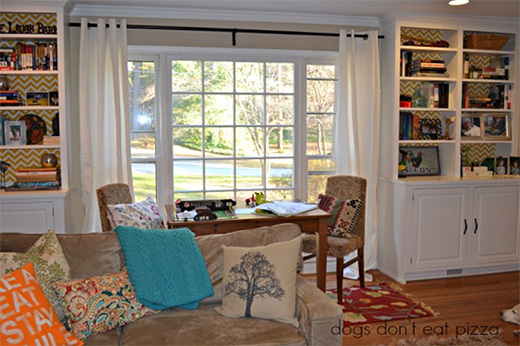 To make the curtains above, I found inexpensive white curtains from a big box store. 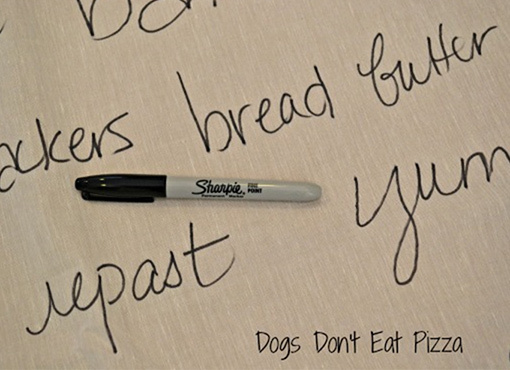 I laid them out on some cardboard and added food-related words - since these were going in my dining room - to the curtains using a permanent marker. I used different script for each line. 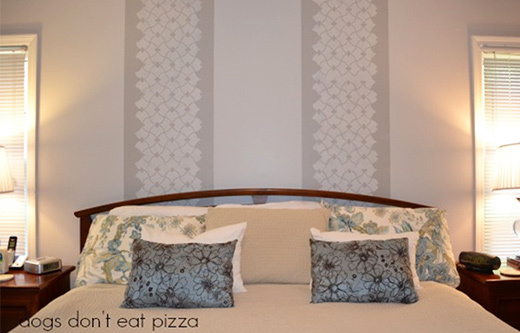 In one day, you can paint an accent wall a bright color to celebrate spring. You just need paint, a roller, a brush, and an afternoon! None of the projects above required more than a quart of paint to complete. What projects are you going to tackle this spring?